2. What Are Red Eyes? 3. What Are the Symptoms of Red Eyes? 4. Are Red Eyes Contagious? 5. What Causes Red Eyes? 7. When To See Doctors? We all know that the eyes play a vital role in our everyday life. It is the window of our soul and helps us have a better sense of the surrounding world. Therefore, any problem to the eyes is worthy of much concern. And one of the most common eye problems is red eyes. Lucky for most of us, this condition only lasts for a short time and it’s normally not too severe. People usually use home remedies for red eyes to relieve this problem. And in this article, Authority Remedies are going to show you 10+ best natural methods. Read on! Red eyes can happen to anyone, no matter they are old or young, male or female. Eye redness also varies in seriousness. In some situations, red eyes can lead to the itchiness or pain. While in other circumstances, the vision is even negatively impaired. Meanwhile, many people’s eyes turn red without any irritation. Eyelashes that are falling out. It is typically linked with blepharitis. It is believed that the contagiousness of red eyes can occur via eye contact. Basically, the leading reasons for conjunctival irritation will decide if your situation is contagious or not. For example, red eyes are almost contagious and can spread between people if it is created by viral and bacterial causes. However, red eyes triggered by chemical and allergens irritants are not contagious through person to person contact. In fact, conjunctivitis is known as pink eyes, which is the infection of the eye. Red eyes do not equal infection! Your eyes can be red because of various reasons that happen in your daily life that will be mentioned right below. Many people choose to go to the nearest drugstore and get themselves lubricating eye drops or to use home remedies for red eyes. There are many factors explaining the appearance of redness of the eyes, and before looking at home remedies for red eyes. Normally, eye fatigue is the most common one because in this day and age, people seem to sit in front of computers or television most of their time. This habit will make the eyes overwork and lead to eye fatigue. Other common environmental factors that lead to red eyes can be the sun, wind, air conditioner or heating devices. People who have certain allergies can experience red eyes. Some people are allergic to pet hair, pollen or dust, and when exposed to these factors, the blood vessels in their eyes can swell up and lead to the redness in the eyes. Your eyes can also be irritated by contact with shampoo or other chemicals, so try to keep your eyes free of them! Another cause is the use of contact lenses which are often advertised to be safe but turn out not to be totally safe to use, especially when you don’t keep them clean. Insanitary contact lenses are likely to have irritants on them, which can make your eyes red. Have you ever noticed that after people drink alcohol, their eyes look red? This is because when they drink, the tiny blood vessels will be dilated and inflamed, which lead to a burning feeling and redness in the eyes. Fortunately, consuming alcohol moderately does not have any severe impacts on your eyes. However, you should know that heavy drinkers will suffer from long-term eye effects of alcohol like blurry vision and poor memory. Understanding the causes of red eyes, you will be better-equipped to prevent it. However, if you have already suffered from red eyes, do not panic. It is simple to treat the condition of red eyes, but you should ask a doctor immediately after realizing the problem so that the situation does not worsen. Since the eyes are very sensitive, in case you do not want the intervention of medication, you should be aware that there are many home remedies for red eyes, which use only nature-existing ingredients, so you will not have to be worried about side effects. In this section of the article, we would like to introduce to you top 15 most effective home remedies for red eyes, which can be easily applied on yourself so that you can cure the condition while helping you to have healthy and beautiful eyes. 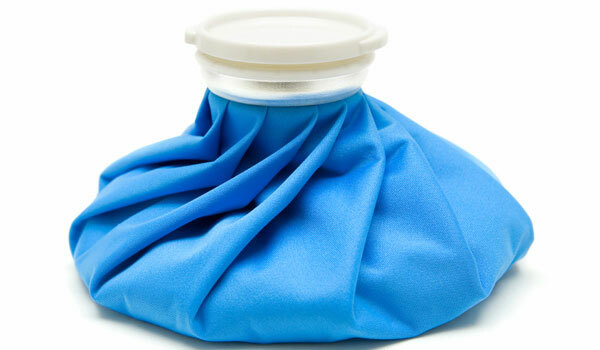 One of the most simple but effective home remedies for red eyes is cold compress. It is very simple and everyone can apply it at home. Using cold water will reduce the discomfort in the eyes and help you get rid of eye tiredness quickly. Soak it in cold water. Put it over the eyes for a few minutes. You should do this method a few times per day. It can also be used to treat other eye problems such as eyelid cysts. Apart from treating red eyes, cold compress method can also temporarily treat tooth problems. For more information, you can read at: Home Remedies for Abscess Tooth. Remember to drink plenty of water when you have symptoms of red eyes. The way to treat red eyes using water is to increase the amount of water you drink every day. This will hydrate your body and eyes, reducing the redness. 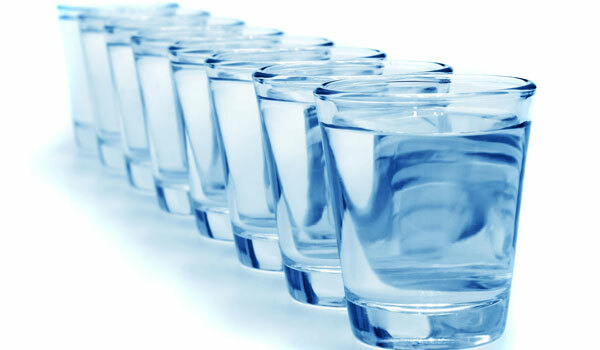 It is suggested by experts that we take at least 8 cups of water per day. Another thing you should never forget is to leave your body dehydrated. The article Home Remedies for Dehydration might be helpful to you. If you want one of the most soothing home remedies for red eyes, you can replace the cold water with cold milk, which contains more nutrients than normal water. 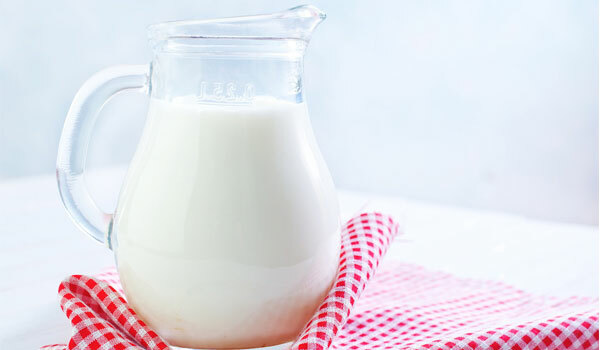 Using milk as one of the home remedies for red eyes can eliminate the itchiness and provide some essential substances for the eyes and the skin surrounding your eyes. You should use this remedy twice a day before you go to bed and after you wake up. 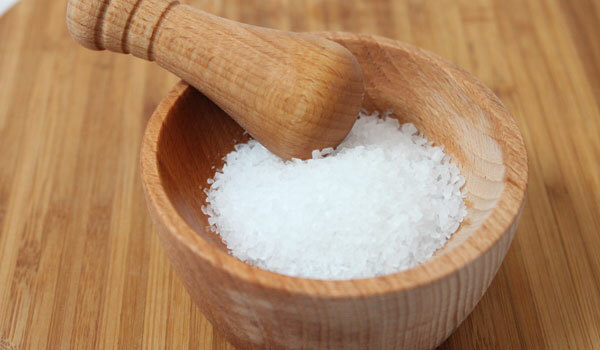 Salt is one of the most simple home remedies for red eyes because you always have it in your kitchen. It can prevent the bacteria from developing and attacking your eyes. The mixture of salt and water is a great way to help you treat the problem of red eyes quickly because it provides anti-inflammatory substances for the eyes. Green tea is counted as another helpful red eyes treatment. This is not only a favorite drink of many people, but it is also an excellent remedy for many health problems including red eyes. 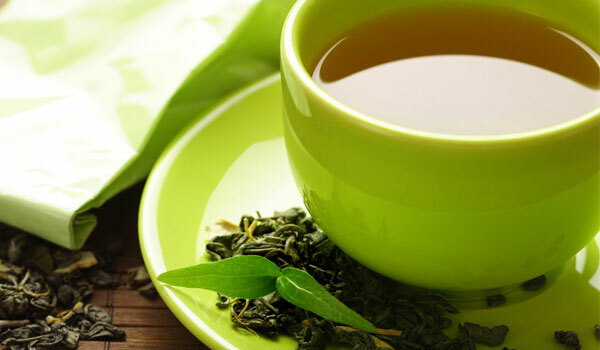 Green tea has many anti-inflammatory nutrients that can be helpful to get rid of red eyes in a short time. Make a cup of tea with two teabags. Wait until the tea is cool. Wash your eyes with tea a few time each day. You should know that green tea can also be applied to your face as well since it affects your skin positively, especially when you have scars from acne. For more information, please read Home Remedies for Acne Scars. Did you know that cucumber is an excellent cure for red eyes? It is extremely popular in the skincare world. I bet you have seen many pictures of people who put slices of cucumber on their face and two on each eye. Placing two cucumber slices on your eyes does not only relax you, but it can also help soothe the eyes and reduce the uneasy feelings caused by red eyes. Cucumber is surely one of the most common home remedies for red eyes. You can soak two slices of cucumber into cold water before putting them on your eyes to make the most of their advantages. It is also advised that you close your eyes during the time because you will feel more rested after your eyes have been working. If you are suffering from black eyes, read How To Get Rid Of Black Eyes. 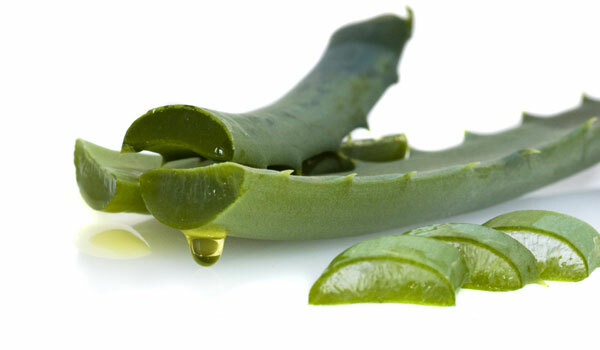 Aloe Vera with its soothing nature is exceptionally good for red eyes. Being one of the most effective home remedies for red eyes, aloe vera has succulent leaves that contain a gel-like substance that is soothing and anti-inflammatory. Use a knife to extract the aloe vera gel. Mix the gel with cold water. Apply it to your eyes for 2 – 3 minutes. Why is apple cider vinegar one of the most fantastic home remedies for red eyes? Some substances that are found in apple cider vinegar can enhance the strength of the body to fight against the accumulation of bacteria in the eyes, which may cause many severe damages to our eyes. Apple cider vinegar can also soothe your eyes very effectively, and this is the reason why it is one of the top natural red eyes relievers. Mix 2-3 spoons of apple cider vinegar into a cup of water. A cotton ball should be soaked in the mixture and applied on the eyes for several minutes. For more information, read this 16 surprising ways that ACV benefits your health. Among other home remedies for red eyes, potato is a perfect answer to your question on how to treat red eyes. You would never want inflammation in any case, not to mention when you are having red eyes. Therefore, it is a great way to use potato to prevent any potential inflammation and get rid of red eyes efficiently. 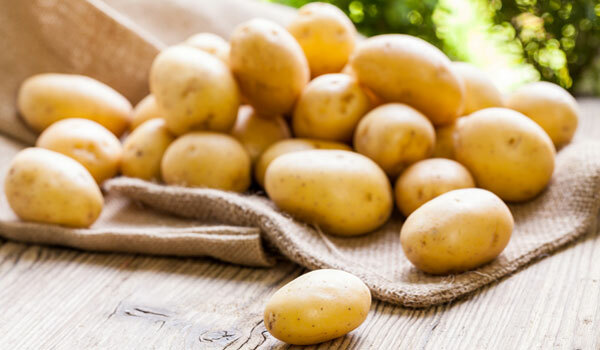 Potato is also one of the most effective treatments for you if you experience eye strain. Castor oil is a component in many kinds of eye drops in the market, and this proves the safety of castor oil to your eyes. 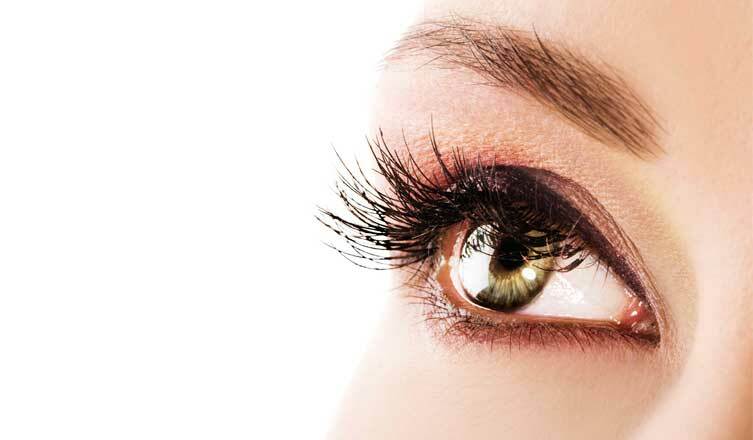 For this reason, you can use castor oil to quicken the healing process of eye redness. Castor oil is anti-inflammatory and anti-microbial, and like some other home remedies for red eyes, you can use a cotton ball soaked in the oil and apply it over the eyes for a few minutes. Also, you can use castor oil to treat dry eyes. 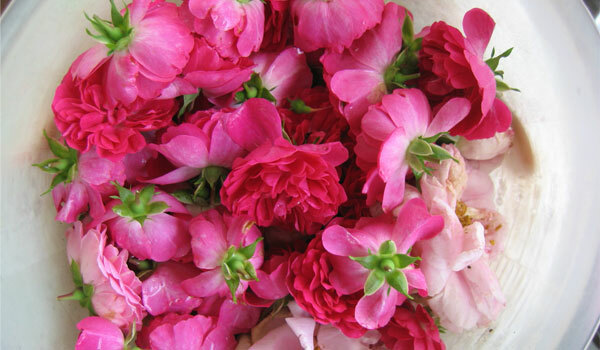 Rose water is very useful in helping with red irritated eyes. It is, in fact, one of the simplest home remedies for red eyes that can be applied directly on the eyes. You will notice improvements immediately after applying it. Place the cotton ball over your eyelids and relax for about 10 – 30 minutes. Alternatively, you can put 2-3 drops of rose water in your eyes twice a day. Another cure for red eyes that should be taken into consideration is baking soda. It is surprising that this wonderful cure is in almost every household! Baking soda is known to be anti-bacterial and anti-inflammatory, so it is one of the most significant home remedies for red eyes that you should try! A quarter of one spoon of baking soda. Mix them together and have your eyes soaked in the mixture for a while. If it is not comfortable for you, you can use a cotton ball as an alternative way. Chamomile indeed makes its way into plenty of homemade remedies, and it is no surprise it is also one of the best home remedies for red eyes. Chamomile tea includes a huge amount of vital nutrients that can magically relieve stress and tiredness. If you want to make chamomile tea, you should follow these steps. Prepare one tablespoon of dried chamomile flowers. Drop them into a cup of hot water. You can make an extra amount of chamomile tea to drink later since it can help you calm your mind and get rid of insomnia. Did you know insomnia is a big cause for red eyes? For more information on how to treat this, please read Home Remedies for Insomnia. Goldenseal is not as common as other home remedies for red eyes in this list, but it is not less amazing than those. How is goldenseal one of the best home remedies for red eyes? It is anti-inflammatory and antimicrobial, which will relieve your condition and make your eyes healthy again! The method we are going to introduce to you on how to get rid of red eyes with goldenseal is warm compress. Use daily until your eyes get better. Almost all of the home remedies for red eyes we have suggested to you have amazing qualities that help us improve the prevention of inflammation. And witch hazel is not exceptional. It will also eliminate the risk of swelling eyes, which could do harm to your appearance and confidence. You should use a cotton ball to apply this witch hazel on your eyes. Normally, you only need to use home remedies for red eyes to get rid of the discomfort. But if your case is more serious, you might want to check with your doctor. When you go to your doctor, you will be examined and will be able to ask the doctor about your symptoms and some dietary and lifestyle changes. In certain cases, some further tests can be ordered to make out the cause; but luckily, this is not highly common. Knowing all these kinds of home remedies for red eyes are great, but an ounce of prevention is worth a pound of cure, so you should also take prevention method into consideration! As we mentioned earlier, looking at screens too much makes your eyes dry, red and irritated. It is because you tend to stare and forget to blink often. You cannot avoid using electronic devices these days. The best thing to do is try to cut down on the time you look at screens. For every 45 minutes to one hour, you should close your eyes, rest and let them relax and be lubricated. Do your eyes feel uncomfortable when looking at screens? It’s their way of telling you they are tired, but it could also be because your screen is too bright! Adjust the brightness of the electronic screens you are using to a suitable level so that your eyes can work with them. On the other hand, your screen could be too dark. Your eyes will have to try to adjust so that they can see clearly and will get tired quickly. It is no doubt that smoking does much damage to our health, and the eyes are no exception. Your eyes are affected by the chemical components in the cigarettes when you smoke. They are the cause of the inflammation in your eyes and the blood vessels will be irritated, leading to the redness. All the home remedies for red eyes will not be able to take effect fully if you smoke. So remember, quit smoking and you will have one less risk of red eyes! Alcohol can lead to redness in the eyes besides many other negative factors to the body. If you consume alcoholic drinks frequently for a long time, you might experience red eyes along with blurry vision and dizziness. Moderate drinking can be an enjoyable experience, so you can still drink, just cut down to several times a week. Of course, you know a healthy diet is crucial to a healthy body. The redness in your eyes can be caused because the outer tissues are inflamed. If you have red eyes, a balanced diet is probably the healthiest long-term treatment. You should choose to have foods that are packed with omega-3 fatty acids since this will help alleviate the inflammation. These foods include salmon, walnuts, pumpkin seeds, chia seeds, flax seeds, and egg yolks. Besides, there are some kinds of juice that act as home remedies for red eyes that you can take to help your eyes stay strong. You should also add more vitamin A and C to your diet. Vitamin A is a wonderful tonic for your eyes and is best known to be in carrots, and you can have carrot juice or salad or soup. Foods rich in vitamin C like citrus are antioxidant and are perfect for tissue repair which will reduce the redness. One of the efficient home remedies for red eyes is some green tea with some lemon juice on an empty stomach. Tired eyes can be visibly red, and you can avoid this by stop overworking your eyes. If you don’t sleep enough, your eyes will be tired and red. The best thing to do in this case is to take a rest and put a cool washcloth over your eyes for immediate relief. The eyes are essential to every human being because they are how you can see the world around you. Having red eyes might indicate lack of rest, allergies or the consumption of alcohol. Normally, eye redness is not something to panic about because you can use the home remedies for red eyes we have recommended, but if it does not go away, you should check with the doctor for further diagnosis. If you have any questions about this issues, please leave a comment below. And please share the useful information with your friends! It bugs me alot on how to get rid of red eyes without eye drops and thankfully I found this post. Great tips and very simple to try. 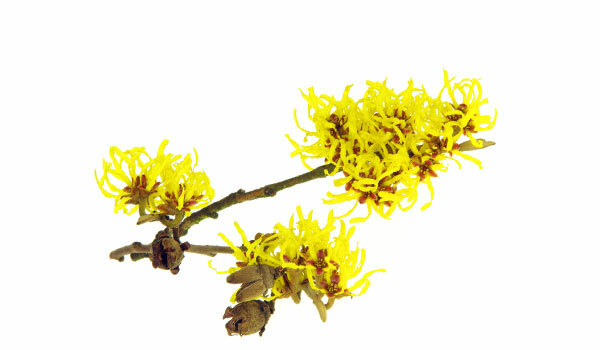 It is a big surprise that witch hazel can be made as treatment for red eyes as I supposed that it could only be used for skin. Is there any other cure for red eyes and red eye relief by using baking soda as I find it quite difficult to apply those tips mentioned above. for that very question, I would like to recommend Witch Hazel for you. The reason that I do so mostly because many people have been there making it bloodshot eyes treatment. Also, it can be cure for red eyes, which is the basis thing you need to know.